Pizza purists may be interested in Chow’s latest video feature on Anthony Mangieri of Una Pizza Napoletana, which serves Manhattan’s most revered Naples-style pizzas. Click here for his two cents on everything from what makes a good pizza to the virtues of buffalo mozzarella. Who has better ramen: New York or San Francisco? My recent fixation with ramen brought about a bicoastal trek in search for the answer. 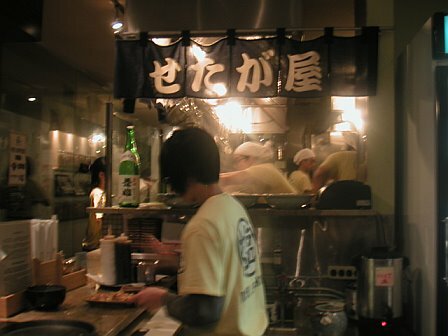 In the East Village, just around the corner from Momofuku (New York’s other famed noodle house), lies the first U.S. outpost of Ramen Setagaya, a mini-chain of ramen shops originating in Japan. Setagaya has garnered solid acclaim this year. 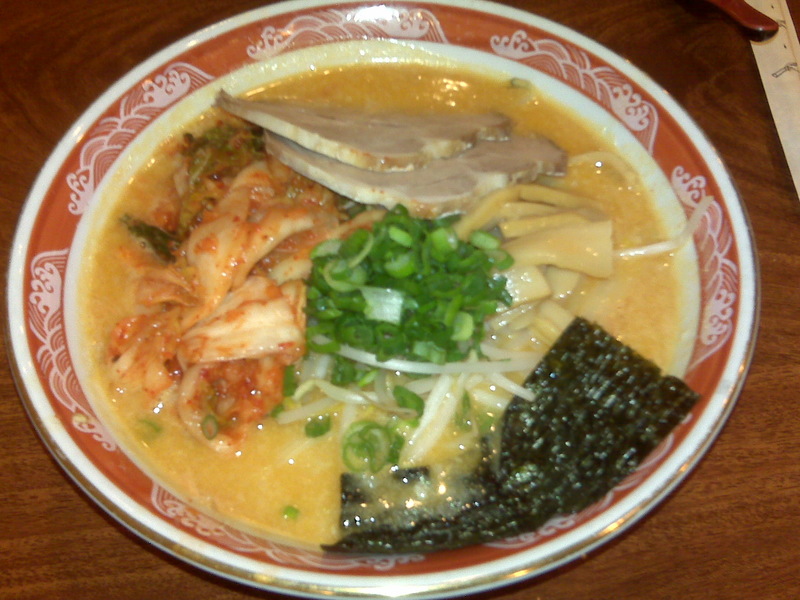 The menu offered only one flavor of ramen: shio (or salt-broth) ramen with pork. The only menu options were in size and serving style: The ramen could be ordered piping hot in shio broth, or tsukemen-style, with thicker, cold noodles to be dipped in warm shio broth. I opted for something new and went with the noodles in dipping sauce over traditional soup ramen, since I love chewier, thicker noodles. Because I really wanted to enjoy the noodles like a traditional bowl of ramen, I wound up transferring all of the noodles into the warm shio broth. The cold noodles, with the warm shio broth, turned the temperature of the dish to lukewarm, which regrettably put quite a damper on my eating experience. 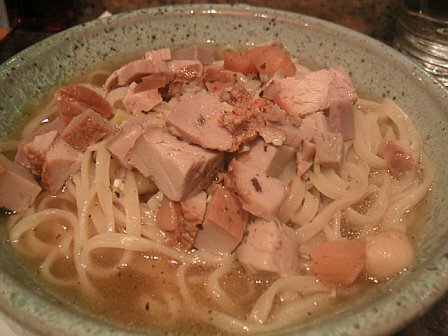 Still, I couldn’t discount the tender, chewy cubes of pork, the extremely al dente noodles, and the broth, which was made with a cornucopia of ingredients, including pork, chicken, several dried seaweeds, fried onions and dried scallops. Each ingredient seemed to add another layer of complexity of the soup’s flavor profile: the scallops added a meaty texture, the seaweed a briny flavor, and so on. I only supposed this made up for the lack of add-ons (such as scallions, bamboo shoots and egg) that typically top ramen bowls. FYI, to all the ramen aficionados out there: The questions still stand. A week later, I found myself standing in line at the renowned Santa Ramen, on the busy street of El Camino Real in San Mateo. My friend Steph has long touted Santa as the best ramen in the Bay Area, and my two-stop trek really is nothing compared to her six-stop ramen day tour (you can read her recap here). Santa Ramen, which is notorious for its long lines and taxing waits, recently moved to a larger location to better serve its clientele. While I realize that should have ordered the shio broth (and yes, I feel guiltily unfair for not doing so), I went for the miso broth, which a Japanese friend recommended. It was creamy, to the point of being almost milky, although I’m pretty sure it contained no dairy whatsoever. 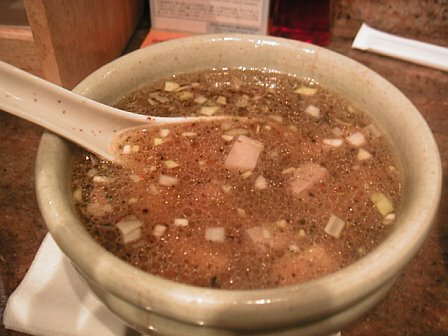 The broth was cloudy, lacking any of the clarity that I saw in the my shio broth at Setagaya, but it was also the least salty broth, which I liked. Unlike Setagaya, my ramen came fully loaded with two oversized pork slices, a sheet of roasted seaweed, bean sprouts, bamboo shoots and chopped scallions. I also added kimchi to my order, and Andy added a cooked egg. 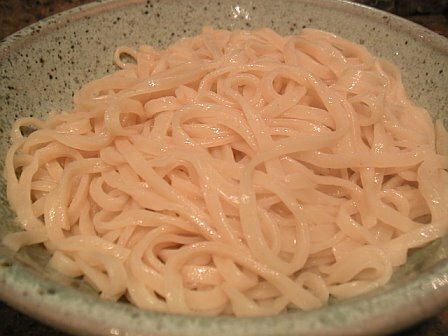 The noodles were enticingly al dente, but I wished they had absorbed more of the soybean flavor of the miso broth. The bean sprouts added a bit of crunch, and I enjoyed the two elements, crunchy and chewy, that I experienced when biting into the noodles. The sour, pungent, crisp kimchi was one of the highlights of the meal. The pork, which should have been one of my favorite elements, wasn’t warm enough, moist enough or fatty enough. As my friend Fumiko would say, fat is essential to any good ramen.Next time, just to be as fair as possible, I’ll be sure to order the ramen in a shio broth (although I didn’t see tsukemen as an option on the menu). In short, the verdict has remained somewhat elusive. I’ve determined that this simply requires that I perform another taste test. Brunch is my favorite meal–I’m constantly trying new places. Over the years, I’ve managed to find places that satisfy specific brunch cravings (pancakes, eggs benedict, French toast, etc. 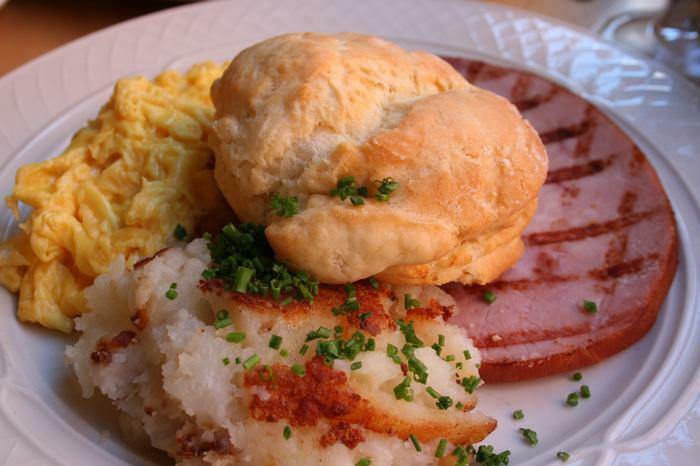 ), but have never found a spot that can successfully execute all brunch dishes. That all changed when I set foot in the Clinton St. Baking Co. I was in Manhattan for the weekend and meeting up with my friend Kara, who immediately recommended this place, citing its amazing brunch. I was thrilled (as I always want to sample everyone’s favorite spots), but after a wait of at least one hour I was beginning to question whether the wait would be worth the while. Even Kara, who loved the place but had been waiting at least two hours, was starting to lose patience. We were soon reminded of why she’d brought me here, notwithstanding the insane wait. The menu was filled with unusual yet comforting brunch dishes, including pulled pork with grits and a buttermilk biscuit sandwich made with homemade tomato jam. 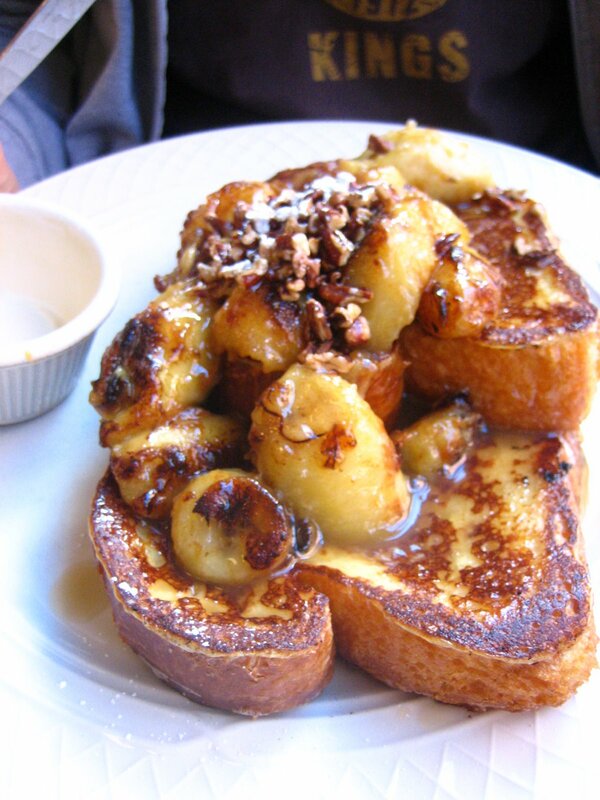 The warm brioche french toast was crisp on the outside, melt-in-your-mouth soft on the inside, and topped with caramelized bananas, toasted pecans and maple butter. It was like a cross between banana nut bread, with all the nutty flavor of the pecans, and bananas foster, with a glaze reminiscent of burnt caramel. The Southern Breakfast included eggs, which we ordered scrambled. They were as light and as fluffy as eggs come. The biscuit was even more delicious. It wasn’t overly buttery or crumbly, just rich and soft. Without a doubt, the highlight of the meal was the bacon. I ordered it alongside some cheesy grits, which were also fantastically cheesy, soft and creamy. I am no stranger to bacon, cooking and dining with it frequently. But never have I ever had a bacon experience like the one I had. The bacon, which was not yet cold, was chewy in places, crispy along the edges, with just the right ratio of meat to fat melting in my mouth. 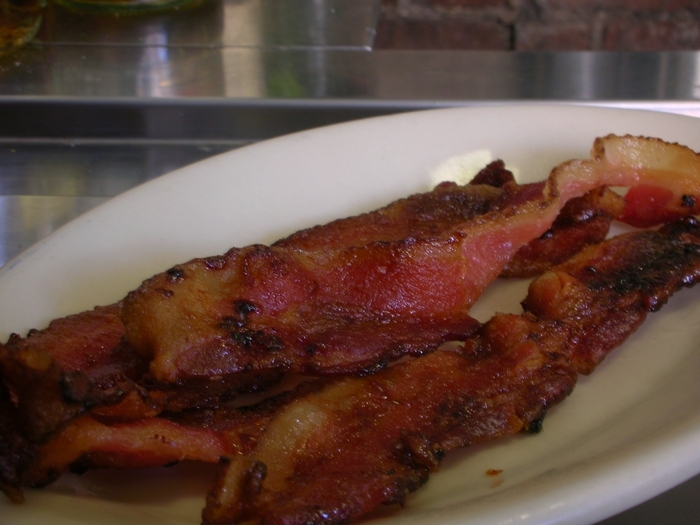 What truly made the bacon the pièce de resistance, however, was the fact that it was sugar-cured. The sweet smokiness really put the whole meal over the top. It was well after 3 pm when we left the restaurant, but I left full and very, very happy. I don’t say this, ever: It was well worth the two-hour wait. New to the West Village is eatery Hakata TonTon. According to New York (can you tell I love this magazine? ), this is the first American outpost for chef Himi Okajima, the Japanese chef behind “collagen cuisine.” His kitchen will serve foods rich in collagen, the protein responsible for skin and muscle tone, including spring rolls and pasta made with pig’s feet, and a hot pot made with chiles that are meant to cleanse the intestines. Pamela Anderson, eat your heart out. Local, seasonal ingredients have always been at the forefront of California cuisine, and have recently become the focus for many top-notch restaurants across the country. 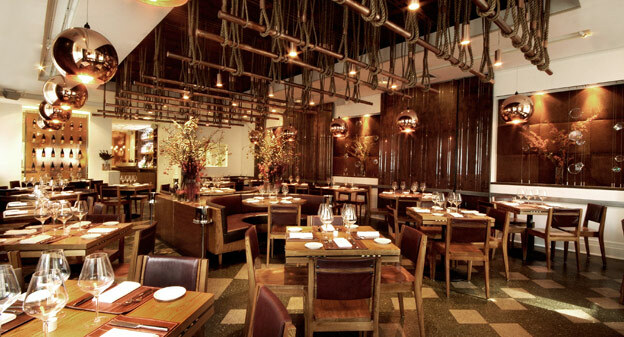 Now Park Avenue Winter, a restaurant in Manhattan, has taken this concept to a new level, by introducing itself each season with a new name, a new look, and a completely different food and beverage menu to reflect time of year. Just two weeks ago the restaurant was named Park Avenue Autumn (far below photo), and several months before that it was Park Avenue Summer. I first learned of this restaurant through New York magazine’s review. Interestingly enough, the venture is owned by the Smith & Wollensky Restaurant Group — at first guess I would not have supposed a chain restaurant company would invest more than $1.5 million in such a fluid venture. Recently, the restaurant closed its doors to make the switch from autumn to winter. 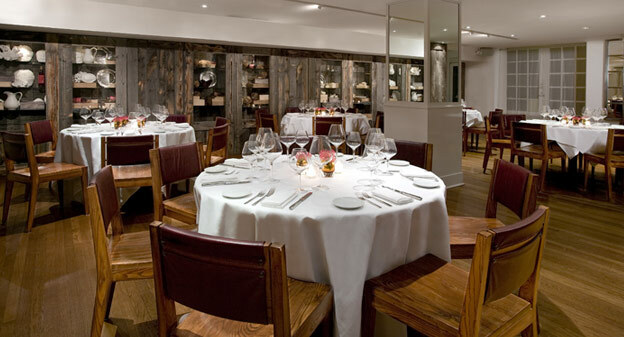 Over a period of 48 hours, the restaurant updated its menu to include classics such as coq au vin and walnut gingerbread with pureed apple, switched its uniforms to be white suits with white ties, and changed its backdrop setting to be entirely white, in contrast to its fall setup of copper and auburn hues. Is this a smart idea? I’m not sure. From a business point of view, it wouldn’t seem to be that way, given the costs of renovating four times a year. However, it will almost certainly ensure that patrons will return regularly to scope out the new digs, so it’s a way to bring diners back on a semi-regular basis. What are your thoughts on this concept? Do you think it’s a fleeting idea, or here to stay? Do you think the concept will catch on in other parts of the country? Either way, one thing’s for sure: This new experiment keeps the New York restaurant scene fun and exciting. Photos: Park Avenue Winter (top); Park Avenue Autumn (bottom). At Grimaldi’s, I noticed a poster facing me. “I’ll make you a pizza you can’t refuse,” it read, alongside an Italian man and a pizza. And this pizzeria wasn’t kidding. Because of it, I missed my flight home to San Francisco. 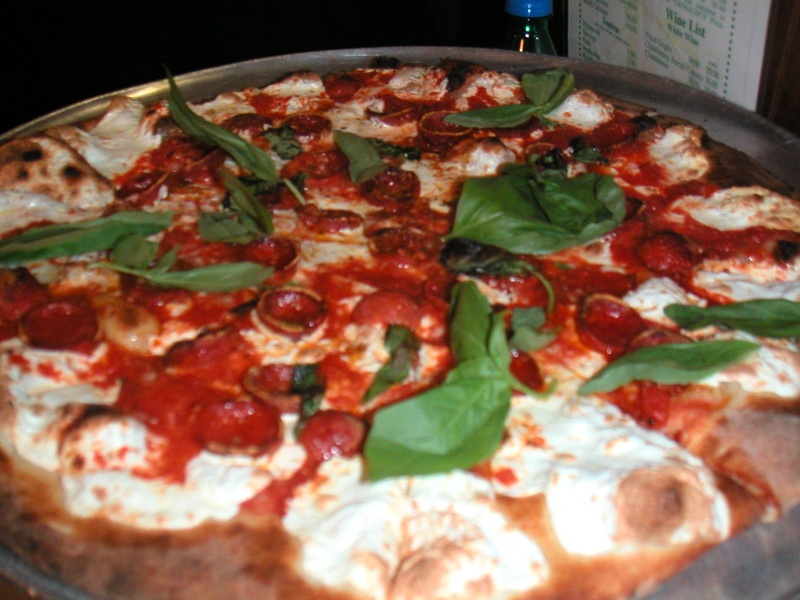 But how could one say no to a Grimaldi’s pizza with extra mozzarella, extra basil and pepperoni? The tomato sauce had the sweetness from long-stewed tomatoes, the earthy flavors of oregano and rosemary. The true mozzarella slices (none of the shredded, part-skim mozzarella used by most pizza chains) were partially browned from roasting in the oven, and rendered the occasional air pocket. The basil was spicy, sweet, clovelike. And the crust — ohhh, that crust — was thin, but not to a crisp. It made a crackle upon my bite, but in its aftermath it simply gave way to a soft, smoky-flavored chewiness. I asked our waiter why he thought Grimaldi’s (in my opinion, the best pizza, world over) had such amazing pizza. Was it worth missing my check-in time at the airport, only to wait 3 1/2 hours to barely make it standby on the next flight? Stressful as it was, yes. It was worth every bite. My recent New York visit allowed for a stop at Keller’s Bouchon Bakery in the Time Warner Center. Situated in the middle of the mixed-development supercenter and across from the Samsung store, it’s a fitting place for a cafe but an odd location choice for discerning restaurateur Thomas Keller. 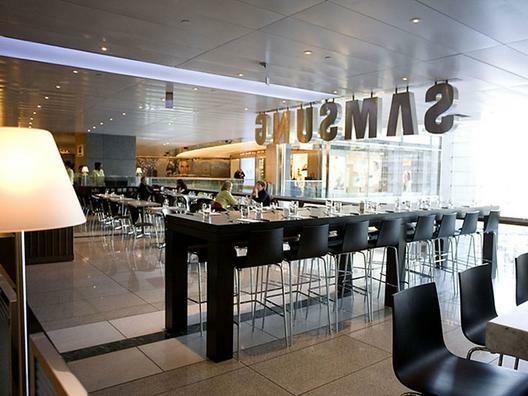 The most unusual part of it is not its placement in the shopping center but the glaring “SAMSUNG” sign that hangs above the seating area. After a short wait (in which I learned more about Samsung’s offerings), we took the first available seating, which was at the bar. We were almost immediately served bread with butter. The butter was salted and at the ideal temperature for spreading, and the bread, which was slightly warm, was soft in the middle and crispy on the outside, and made that unmistakably airy crackling noise when I pressed it into the palm of my hand. 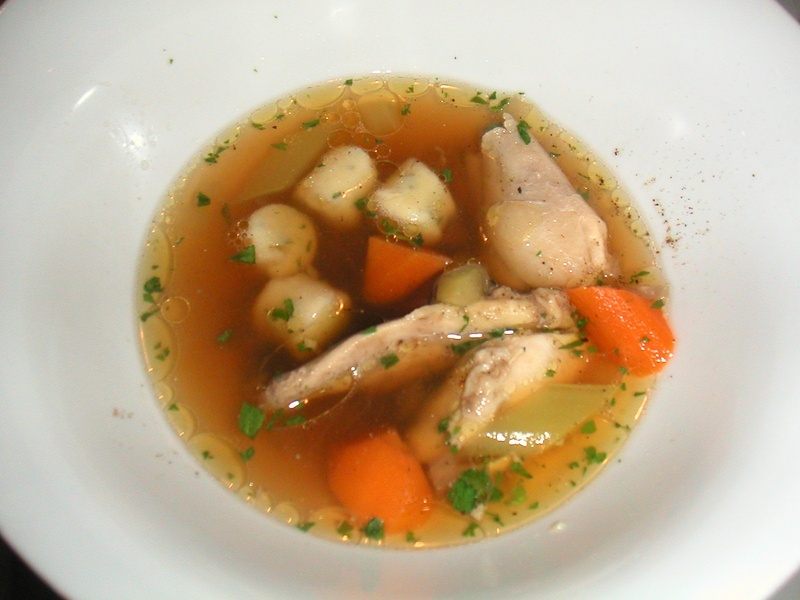 My first course, chicken soup with herb dumplings, elevated chicken soup to a new level. This wasn’t the cloudy, oversalted, canned Campbell’s soup of Warhol’s fame; it was completely transparent and, if anything, it was underseasoned. I reached for salt and pepper only to realize that it wasn’t in plain sight. Fortunately, the poached dumplings were full of of chicken flavor, and seasoned to boot. The chicken wasn’t greasy (although the soup itself was); the vegetables were tender but not overcooked. 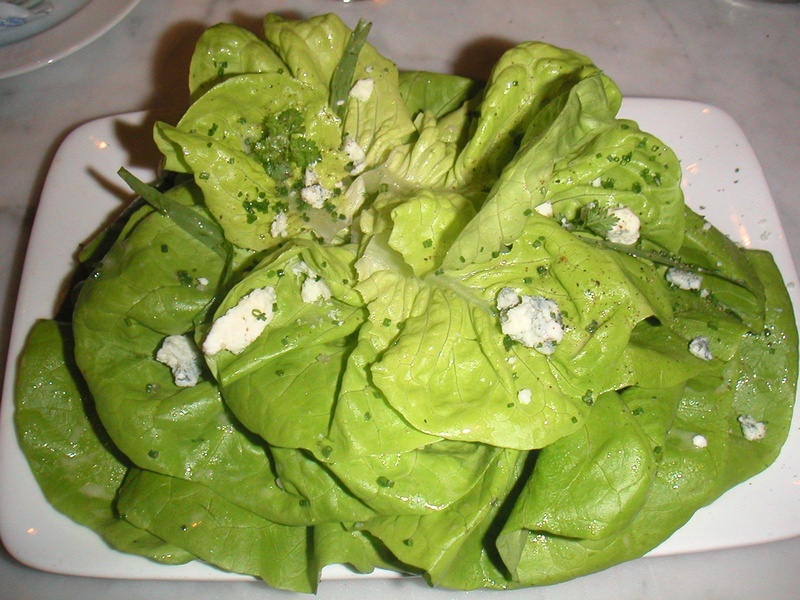 My Bibb lettuce salad arrived, layered on the plate like petals on a rose. It was sprinkled with shallots, garden herbs, Roquefort cheese and red wine vinaigrette – delicate but delicious. Eating through the lettuce leaves was not unlike unwrapping a present. 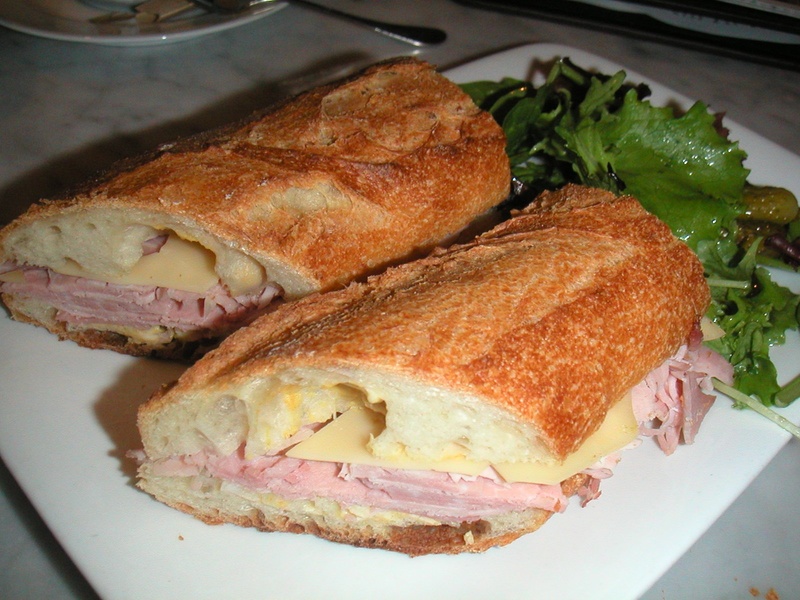 Andy had a ham and cheese baguette with madrange ham and emmenthaler cheese. 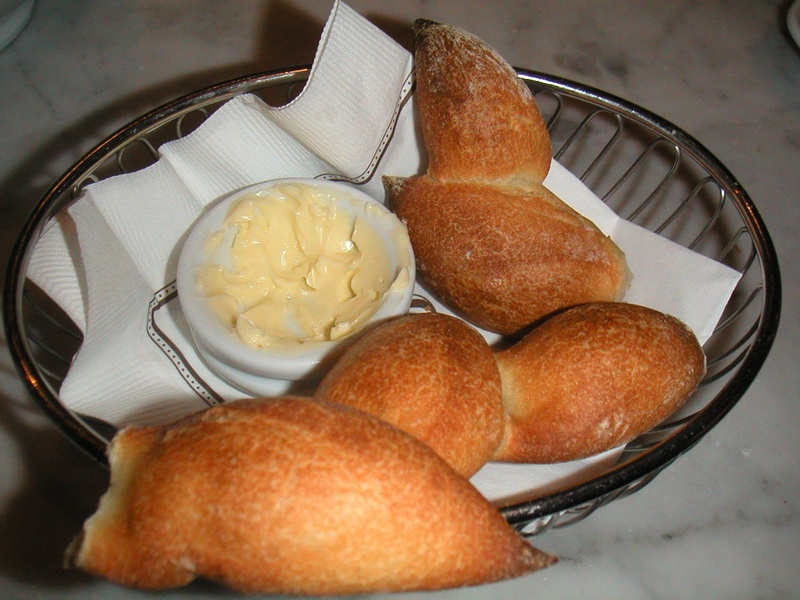 When he previously ordered this at the Bouchon Bakery at the Venetian in Las Vegas, he recalled it being simple yet refined. Somehow, it didn’t translate this time around: the bread was hard and cold. We had the option of having it warmed in the panini press, but our server informed us that this made the bread about ten times harder. My feeling is that this dish could have been much better — I will have to try it when we revisit Las Vegas this December. For a casual eatery, the service was excellent. 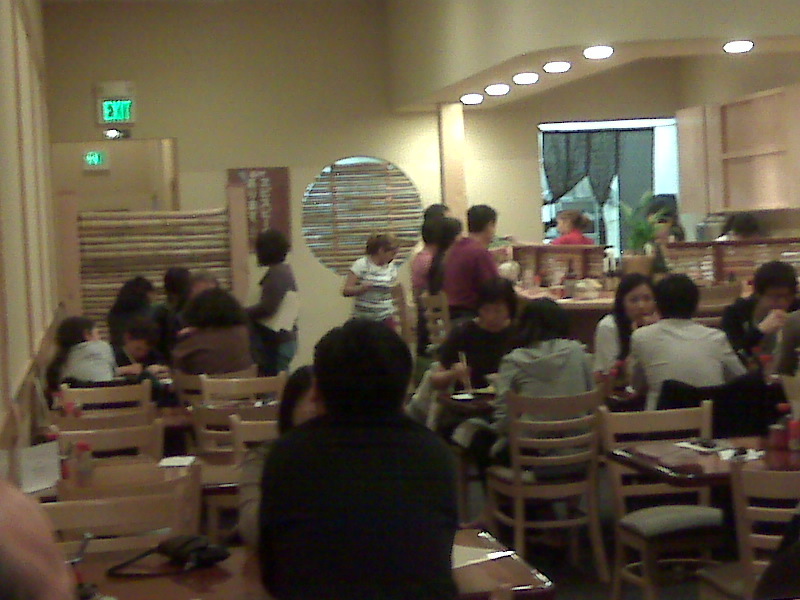 Despite overhearing our server say she had a terrible headache, she was friendly and attentive. We received multiple coffee, water and bread and butter refills. This may have been due to the fact that we were sitting at the bar. All in all, a positive experience. As possibly the country’s most upscale bakery chain, I look forward to visiting its Vegas counterpart next month in search for clues about the restaurant’s consistency. Stay tuned! Which San Francisco neighborhood has the best restaurants? Pinch me. Is it real?